I am kicking it off with a make up haul. This was ordered the Saturday before Christmas and I was very surprised that I was able to get it Christmas eve. I ordered it from Superdrug and at the moment they are running an offer, if your order from MUA is over £8 you can get a free eyeshadow MUA Pro Palette called 12th Night. So I took total advantage of this, unfortunately when I received my order the pallet had not been included so I am going to email them and see if I can have it. Also a blusher I ordered had been smashed, which is why both of these products are not included in this haul, apart from that everything else I have LOVED so here goes and I hope you enjoy. 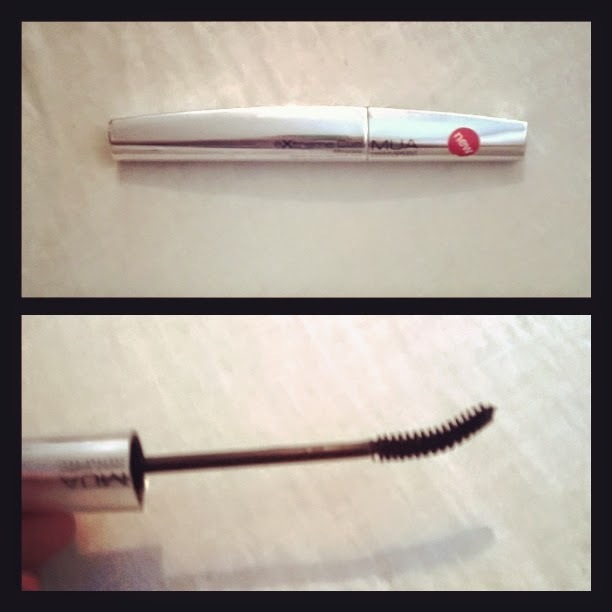 The MUA Extreme Curl Mascara, a big thing about myself is that I am not a fan of fake eyelashes, I find them hard to put on and the last time someone put them on for me, I ended up getting glue in my eye and it totally put me off, I might try them again but just not at the moment. So I am always on the look out for mascara which will help me look like I have big long curly lashes. The thing I love about this is the curve in the brush it reminds me of the Rimmel mascara I already have. The best thing is it separates the lashes as you use it. I use my eye lash curler first, then I work this through my lashes from the root to tip wiggling the brush, this helps to move the lashes so they don't stick together. By the time I am finished my lashes look curly and long. For my bottom lashes I do the same thing but I turn the brush the other way, this gives both top and bottom lashes a curl outwards, which is the look that I love. You can get this mascara here. 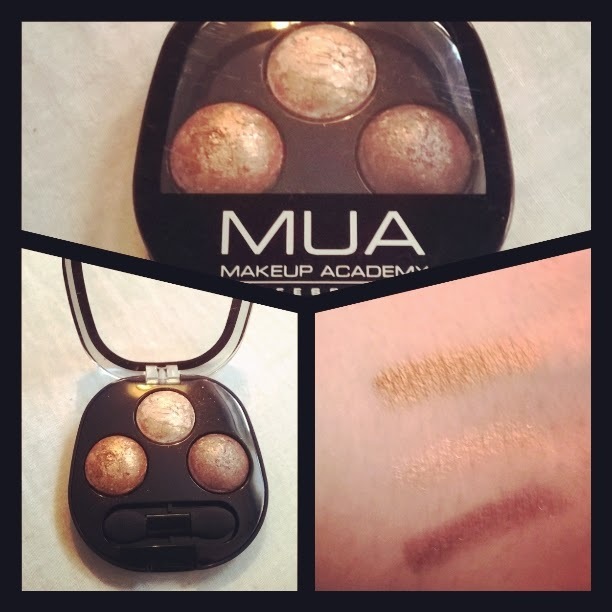 Next is this amazing Merged Trio Eyeshadow in the colour Emotions. I had tried the MUA palettes before but never the trios, I had heard a lot of good things and so decided to try it and I am so glad I did. The colours are beautiful, it gives girls who are new to make up an amazing opportunity to create looks that they wouldn't know how to. This is because on the back of the pack it shows you where to put the different colours to create a smokey look, this is one of the pieces I wore on Christmas Day, I found it lasted all day and it didn't smudge or run. I will defiantly be getting more of these as they come in different colours. You can get this trio from here. 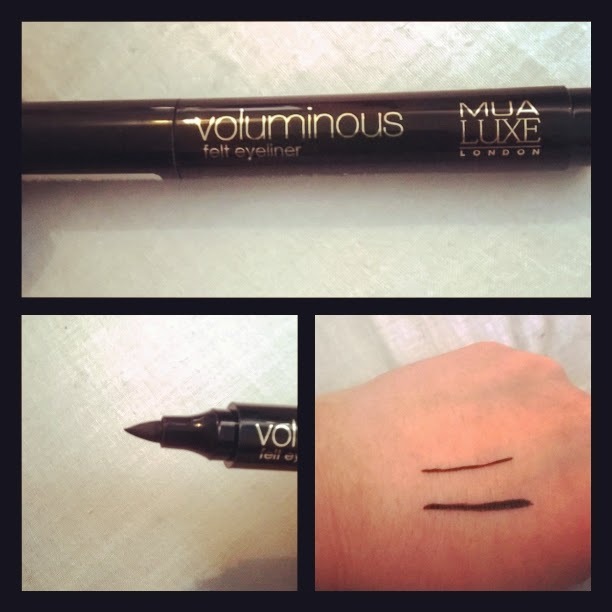 This is the MUA Luxe Voluminous Felt Eyeliner and I can honestly say hand on my heart I have never found an easier eyeliner to work with, it goes on so smooth and as you can see you can either have a nice thin line or a thicker line depending on your preference. Personally I love winged eyeliner and I have found it so simple to create my wings with this product. Recently I have been using a gel liner and I finding it harder to use, maybe it is me and I need to practice a bit more but this is amazing and I can not recommend it enough. 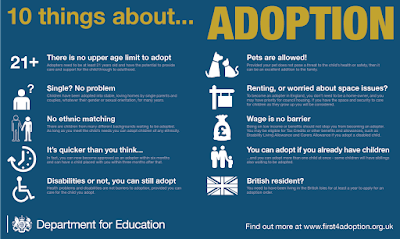 If I have got you in the mood to buy it check it out here. All the rest of my items are for my lips so I'll start with this which is the MUA Intense Kisses High intensity gloss in the colour Quick Kiss. I am not really into glosses on my lips I find they come off quickly and I need to keep applying them. I love the colour of this it is so nice and so glossy, so they are right about the high intensity gloss. The only thing I found was it could be sticky on my lips, which I really don't like. So I am a bit 50/50 about it, loving the colour just not the stickiness, you can check it out and the other colours here. Ok so this is my number 2 favourite from this order, I love it so much, I cant get enough of it. 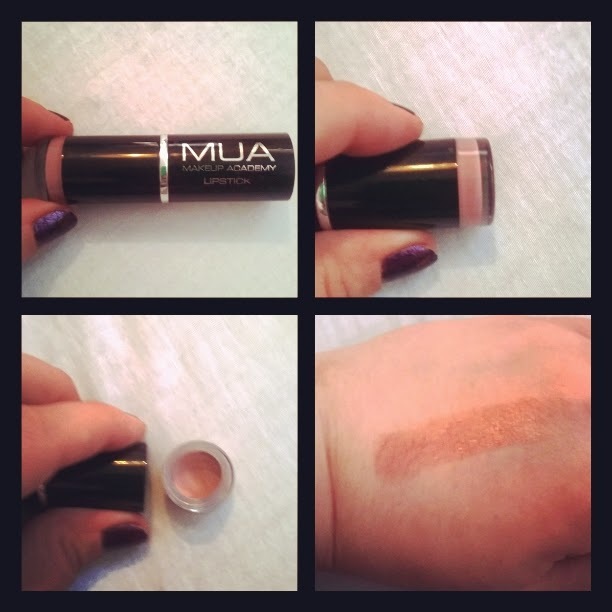 This is MUA lipstick in shade 14 the colour is called Bare. I have been looking for a shade like this for AGES!!!! 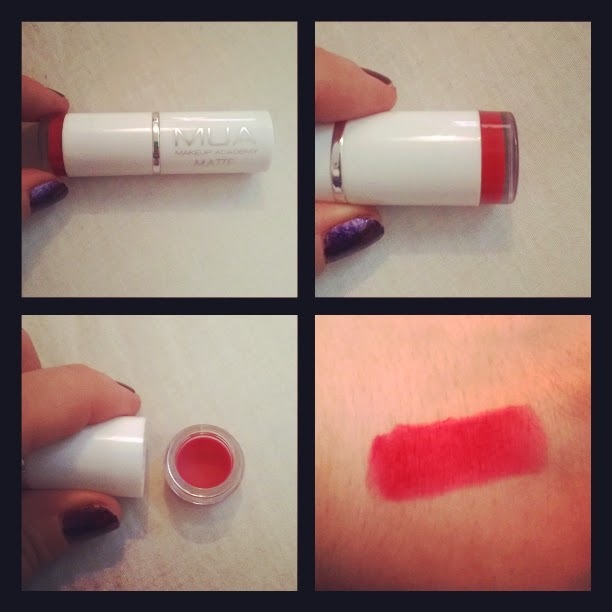 When I saw it I couldn't click it quick enough, and when it arrived I was not let down, its so nice and creme and soft, it goes on the lips really nicely. The shade is so pretty. I use this for when I want my eyes to have the focus, because it does blend my lips in. The other benefit of this lipstick is the additional little pot it has at the bottom which screws off, not only is this good for you when you store it so you can see the different colours, but also if you are running low, you can use this with a lip brush which I think is so good. I wore this Christmas day and a lot more since and it stays on for a while. I found that when I was drinking it wasn't coming off my lips which makes me love it even more, I will be buying this again and in more colours. If you want to try it you can get it here. 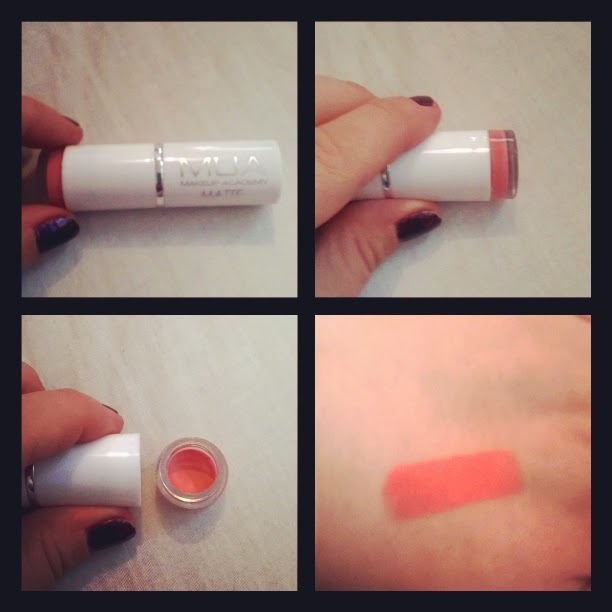 This is the first of the two matte lipsticks I bought, this is MUA Matte in the colour Peachy Keen. I have never really tried matte lipstick, I was worried it would make my lips look dry, but this is a really nice colour, its quite natural, it does take a while to go on and isn't really smooth, but the colour is so pretty. Again it has the little pot on the end too which as I said before has its benefits, but personally I dont think matte is right for me. If you like mattes tho have a look at the MUA range the colours are so nice. 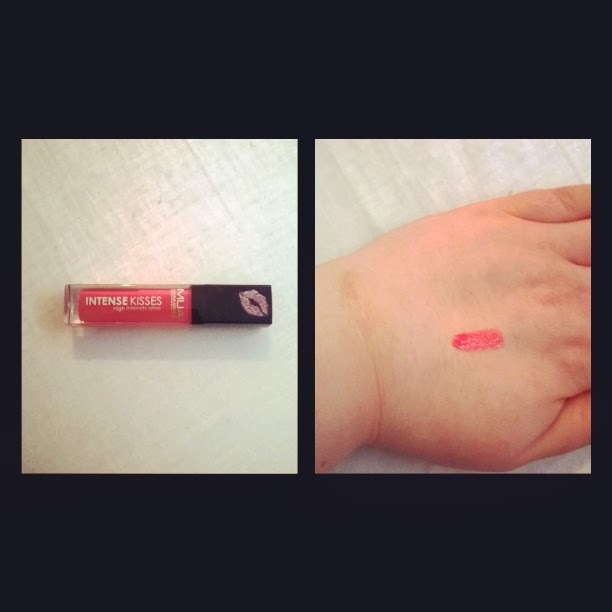 This is the other matte lipstick I got and this is in the colour Scarlet Siren. This is probably the one product I am unsure of, I loved the colour on the website because it looks like such a deep red, but when I got it, it was more of a deep pink colour. I do like it because I don't have that type of colour but it just wasn't what I expected, but like I said before I don't think matte is for me. 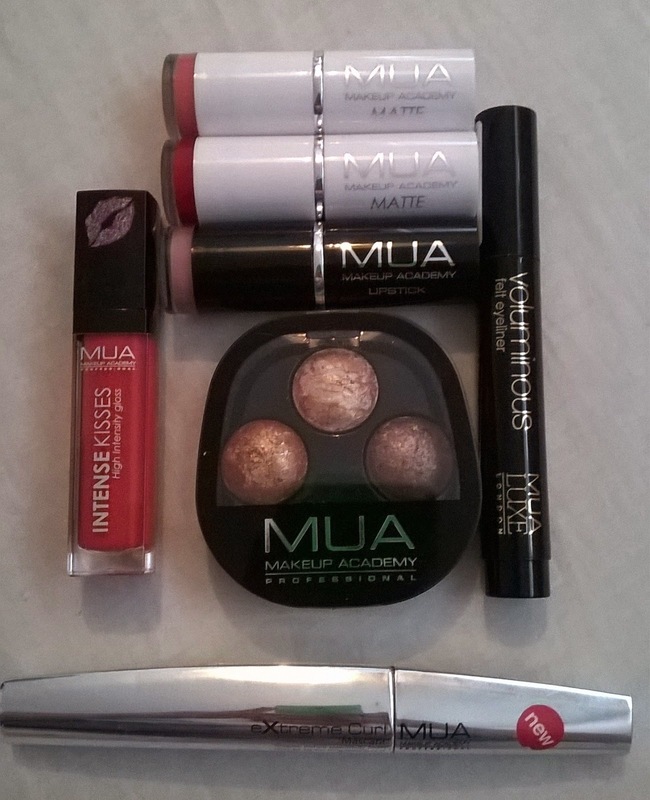 Well I hope this little haul has helped and I really think you should check out the MUA website, because they really are an amazing make up brand, and so affordable. Thank your for posting these useful make up tips! I agree with you about not liking fake eyelashes, but also wanting to achieve the long, lush eyelash look. I'll be sure to check this MUA line out. If you had to compare it to another makeup line, which one would you pick?